POLITICAL TIDBITS: Disclosure of Gus Lagman’s return of P1.25M ‘intel check’ blows lid off Comelec P30M intel fund approved by P-Noy. AES Watch dares Brillantes to deny that he’s “spying on us,” as it calls on Comelec and Joint Congressional Oversight Committee to secure all PCOS machines, software and other paraphernalia for auditing and ‘forensics scrutiny’---echoing Gordon’s omnibus petition before SC. Bishops’ support badly needed. Disclosure of Gus Lagman’s return of P1.25M ‘intel check’ blows lid off Comelec P30M intel fund approved by P-Noy. AES Watch dares Brillantes to deny that he’s “spying on us,” as it calls on Comelec and Joint Congressional Oversight Committee to secure all PCOS machines, software and other paraphernalia for auditing and ‘forensics scrutiny’---echoing Gordon’s omnibus petition before SC. Bishops’ support badly needed. Every day that Sixto Brillantes stays at Comelec’s helm, it seems he manages to open a new can of worms, thanks to his loquaciousness. The latest is his admission that he asked to channel Comelec’s savings into a P30 million fund which the President readily approved last Feb. 20---to be used for intelligence purposes. The problem is that the term “intel fund” has become a dirty word in the political vocabulary, as it’s justified even with just a piece of paper signed by the user, no accounting needed. As the Manila Times editorial put it, the intel fund may be legal but not moral---especially in an election year where the President, head of the administration’s coalition party who campaigned for his candidates like no other president has done, is the one approving it. P30 million is no sneezing matter, and a Comelec Chief who has become slavish in his actuations could become even more beholden to the approving power. The Comelec’s intel fund came under public scrutiny after former Commissioner Gus Lagman disclosed that each of the six commissioners was given P1.2 million to be used by them for election-related activities, with the chair getting double. Lagman disclosed that when he was asked to sign a document attesting to this sum as intel fund, he refused. Coming to a parting of ways after the Commission on Appointments did not confirm his appointment and the President did not re-appoint him, he returned the fund untouched---whereas the other commissioners have been quiet about their options. The Comelec’s intel fund issue has raised many questions. To be sure, Sec. 11 on the Commission on Elections in Art. IX of the Constitution, on “Constitutional Commissions,” allows that funds certified by Comelec as “necessary to defray the expenses for holding regular and special elections...shall be provided in the regular or special appropriations…” This is what Malacanang did: under Sec. 59 of RA 10352, the General Appropriations Act of 2013 passed by Congress, Brillantes sought permission from P-Noy to realign his agency’s savings as intel fund---and he got it. Heaven knows, however, what else transpired between him and P-Noy’s officials. The presidential approval of funds for Comelec to carry out its mandated functions is a deplorable arrangement whose repercussions the framers of the Constitution did not anticipate. This provision should be the first to go in a Charter Change as it subverts the “fiscal autonomy” that the Constitution guarantees to the three commissions it expressly established---the Comelec, the Civil Service Commission and COA. It’s lamentable that the Comelec Chair has to run to P-Noy for funding for activities and duties mandated to it---thus giving him the excuse to resort to intel funds. Given a President who has shown little hesitation about politicking and an obviously subservient Comelec Chair, this provision proved disastrous. A well-studied specific legislation by Congress to govern every election function of Comelec ought to be a better safeguard of its fiscal autonomy. Volunteers Against Crime and Corruption Chair Dante Jimenez fired the first sensible observation: “Why the need for intel funds when all law enforcement agencies are automatically deputized by the Comelec?” Jimenez blasted the fund as a “blatant abuse of authority on the people’s money” and called on COA to audit Comelec. But the IT community---more united than ever before vs. electoral fraud--- felt directly alluded to by Comelec’s multi-billion cloak and dagger operation. The militant umbrella organization Automated Election System Watch (AES Watch) today dared Brillantes to directly state that its intel fund was not intended to spy on IT groups and election watchdogs critical of the PCOS technology and the way the poll body conducted the automated mid-term elections. The IT experts lamented that the disclosure of this secret intel fund has a chilling effect on the IT community and election watchers, but now the Comelec Chief is also out “to attack our civil liberties as well, “ AES Watch spokesperson Nelson Celis asserted. But the incensed IT experts turned the tables on Comelec by charging that it’s the poll body that has sabotaged the elections with its removal of various security features mandated by the AES Law such as the digital signatures of the BEI personnel, its widespread glitches, transporting vulnerable CF cards physically to the canvassing boards, its highly irregular and arbitrary decision to disclose clustered precincts to be subjected to random manual audit four days prior to elections, etc. (where is that RMA report, by the way?). AES Watch’s call for securing the election paraphernalia tallies with the urgent prayer of a recent omnibus motion filed by senatorial candidate Richard Gordon and his Bagumbayan-VNP party with the Supreme Court two days ago. Gordon sought disclosure of the source code from Dominion so that it could be compared with what operated in the PCOS machines last elections. He also asked the High Court for a TRO against Comelec’s moving out these machines from the precincts across the country, and prevent them from being transferred to the Comelec/Smartmatic warehouse in Laguna where he feared their data could be tampered with. There has been a clamor from various sectors for a thorough investigation of the charges of electoral sabotage by Comelec. Under normal circumstances, the JCOC in Congress would undertake this investigation impartially, letting the chips fall where they may. But in our thoroughly politicized atmosphere, can we expect the JCOC, currently headed by Sen. Alan Peter Cayetano and Rep. Elpidio Barzaga Jr., two very close allies of the President, to do so? Or even a newly constituted JCOC in an LP coalition-dominated Congress in July? Losing senatorial candidate Eddie Villanueva has called for the setting up of a “Truth Commission,” and already three bishops, including Iloilo Archbishop Angel Lagdameo, support this idea. But would the President create such a fact-finding body, given his insistence on 12-0 in the Senate during the campaign and Brillantes' cover-ups? The linear pattern in the recent elections showing the 60-30-10 results (with just slight variances) that even P-Noy’s close ally, defeated House NP candidate Felicito Payumo, said operated in his native Bataan, appears to have been pre-programmed. Hence the need to dig the truth by a Truth Commission. 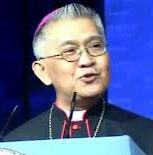 The bishops should support the people’s clamor for the truth.